Children of Divorce features excerpts of stories collected from hundreds of young people. The narratives embrace such themes as despair, chaos in the family, and "missing" dads. The volume paints a picture of the pain, the hope, and the resiliency shown by young adults while in the throes of divorce and in the years to follow. These poignant narratives are framed by an analysis of the most recent divorce literature. The book clearly demonstrates the value of storytelling in helping people deal with major loss events in their lives. The authors' hope is that by examining these experiences, we will gain a greater understanding of the effects of divorce and ultimately strengthen relationships in the future. 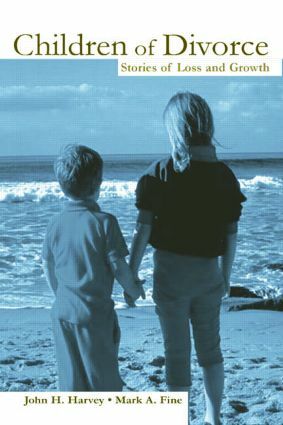 This book challenges the contention that most children will be irretrievably hurt by their parents' divorce. Presenting a mixture of young people's voices demonstrating the great variety of reactions to parental divorce, it shows the strength and resilience many of these young people have learned in surviving the pain surrounding divorce in their families. Emphasis is placed on how hope about the possibilities of having close relationships--as well as a willingness to try to have stronger families in their own adult lives--represent abiding motivations in this sample of young people. Providing an overarching theoretical emphasis on the value of storytelling for people dealing with major losses, the authors hope that this method of stressing the raw input of respondents will make the experiences more vivid and realistic to the reader.